It may be a flop, but Succession will be back for a second season, HBO has announced. The series premiered last Sunday, retaining just 30% of its Westworld lead-in with a terrible 0.15. This is below the infamous flop Here & Now, which started with a 0.2. Succession also doesn't enjoy critical acclaim like many other HBO shows, though the critical response has been relatively positive. Nicholas Braun, Peter Friedman, Alan Ruck and Brian Cox star in the series. 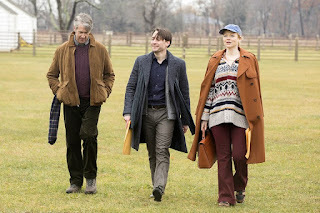 You can click here for the ratings for all of season one of Succession. What do you think of this news? Will you be tuning in for more? Let us know in the comments below!